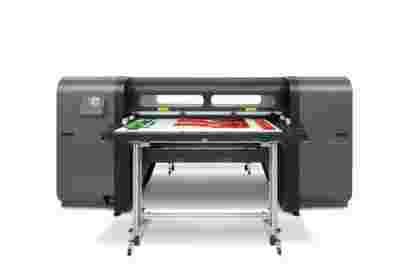 With the HP Latex R2000 you’ll be able to simplify your workflow while achieving a consistent look across rigid and flexible outputs – no more print and mount. You’ll have every base covered with a single set of inks for scratch resistance and flexibility. 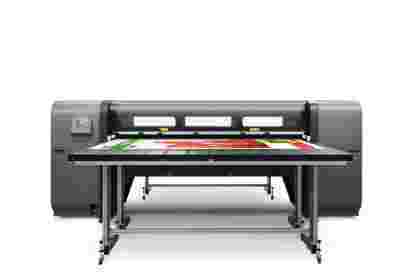 Grow your business with the versatile R1000 – Offer your clients a better standard of work using the superb HP Latex colour gamut – you’ll achieve media gloss and feel, with prints that don’t smell. The HP Scitex FB 550 is capable of producing a wide range of high value applications quickly with great cost effectiveness. The new technological advancements in the design and delivery systems have produced great time saving features, advanced media handling features and media production features. 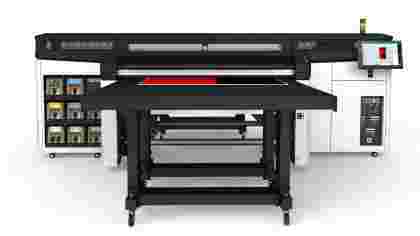 The HP FB 750 is the reincarnation of the HP FB 700, built with performance and quality in mind the 2.5m flatbed can print up to 85 sqr/m an hour on both rigid and flexible substrates. 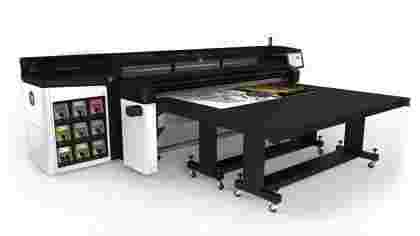 Users can load, print and collect simultaneously helping increase workflow and productivity. The extension tables have had a complete redesign, incorporating safer substrate loading and easy storage.